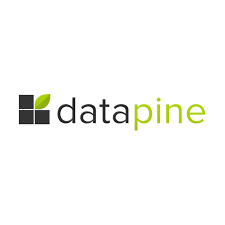 datapine is a young innovative company located in the heart of Berlin. We are developing a highly scalable SaaS tool that will revolutionize the way of performing database analysis by making even complex functionalities available to non-technical persons. With our product, we aim to become the innovation leader in the business intelligence market for small and medium-sized companies. Our data analysis tool gives customers fast and easy access to their business intelligence data without the need for any SQL or database knowledge. By just using an intuitive drag & drop interface you can analyze your database. The result is displayed as a chart or as a table and can be used later on for internal and external reporting purposes. Within minutes customers can connect datapine to their existing databases or external interfaces, such as Google Analytics.